Telok Ayer Street is one of the most colourful areas near to Singapore’s Chinatown. It is mainly popular for its beautiful worship places and among the tourists. However, Telok Ayer also has many cafes, famous shops, and drinking bars. Here is the quick guide to the top things to do in Telok Ayer. Telok Ayer Green is a beautiful park having sculptures that feature the festival celebrated by the Chinese immigrants in Singapore during the 1900s. A tour to this small park will let you know about the early Singaporean culture and history. It is a delightful place that is designed with the local sculptures and awesome surrounding greenery. You shouldn’t miss the two yellow rain trees that stand tall at Telok Ayer Green. The yellow leaves give a delight to the eyes and they fold up prior to a rain storm. Additionally, there are many tamarinds, cinnamon, nutmeg, and breadfruit trees. Nagore Dargah is a shrine that features the glimpse of the Indian Muslims who migrated from Tamil Nadu before industrialization. Located on the coastline, this shrine is dedicated to a holy Indian man Shahul Hamid Dugah. This heritage building is a complete blend of the Eastern and European style architecture. You have to take off the shoes outside. A visit to Nagore Dargah will let you explore several displays, panels, and artifacts depicting the culture of Indian Muslims in the country. Constructed in 1839 by some people of Hokkien community, Thian Hock Temple is the oldest Chinese temple in Singapore. The temple showcases the traditional Southern Chinese architectural masterpiece of dragons, wood, stone, tiles, imposing columns, and amazing carvings. The most amazing thing about this temple is that not even a single nail was used for building it. Thian Hock Keng is now a Gazette national monument and managed by the Singapore Hokkien Huay Kuan. Hokkien Huay Kuan Mural is a small temple located at the Telok Ayer. It has a decorated entrance that features Tiger murals and the expected dragon. It isn’t as impressive as the Thian Hock Keng Temple, but still, it is worth to visit this beautiful temple. The interior of the Hokkien Huay Kuan is quite plain. There is a beautiful small shrine inside the temple that shouldn’t be missed at any cost. A quick tour of this temple will take only take some minutes, but allow you to see some impressive architecture of Singapore. Chong Wen Ge Café is an awesome place situated next to the Thiam Hock Keng Temple complex. It is a unique place that serves almost every local dish, including Nyonya Mee Islam, Nyonya Kueh, etc. The visitors are greeted by the beautiful Peranakan tiled flooring that is preserved in its original splendour. If you are looking to have some peace from the noisy streets, then Chong Wen Ge Café is the perfect option for you. You will get mesmerized by the soothing tinkling of piano songs that suits the surrounding environment. My Awesome Café is a beautiful place to enjoy a tasty brunch and good coffee. This place is filled with many unique things that include vintage dinnerware, and thrift furniture. You can fund awesomeness in almost every part of the café. If you are looking to explore a really awesome place, then you should visit My Awesome Café and have a delightful meal. They are parked inside the old remnants of the Chung Hwa Free Clinic so do not be surprised if you see a bar inside a old clinic. Ann Siang Hill Park is a quiet place that offers some peace and silence from the hustle and bustle of the crowded area. It is the tallest geographical point in the Chinatown area that can give you a bird’s eye view of the neighborhood surroundings. At the summit of the park, there is a famous place named as P.S. Café. It is a high-end restaurant that sells a great variety of tasty dishes to their guests. Maxwell Food Centre is one of the most popular food centers among the public in the Chinatown area. If you are a food lover, then this place can turn out to be simply heaven for you. There are three back to back rows of more than a 100 stalls from where you can select an extensive variety of local authentic Singaporean food. However, it remains crowded any time of the day because it offers a great range of affordable local food and drinks and it is located on the edge of the Chinatown Streets. Singapore City Gallery is a URA center located near the Maxwell Food Centre. This three story building attracts both businesses as well as leisure visitors. This place provides an exciting and multi-sensory experience to the tourists who want to experience the Singapore’s transformation over the past five decades without sacrificing their gracious living and greenery. There are around 10 thematic areas and over 50 audio-visual exhibits, that makes it one of the best places to visit in Telok Ayer. A visit to the Singapore City Gallery will guarantee to give you an enjoyable self-discovery of the country. Built in 1925, Telok Ayer Chinese Methodist Church is one of the oldest churches in Singapore. You will surely get impressed with the Charmingly electric architect of the church. It showcases a mixture of the European style and Byzantine architecture. 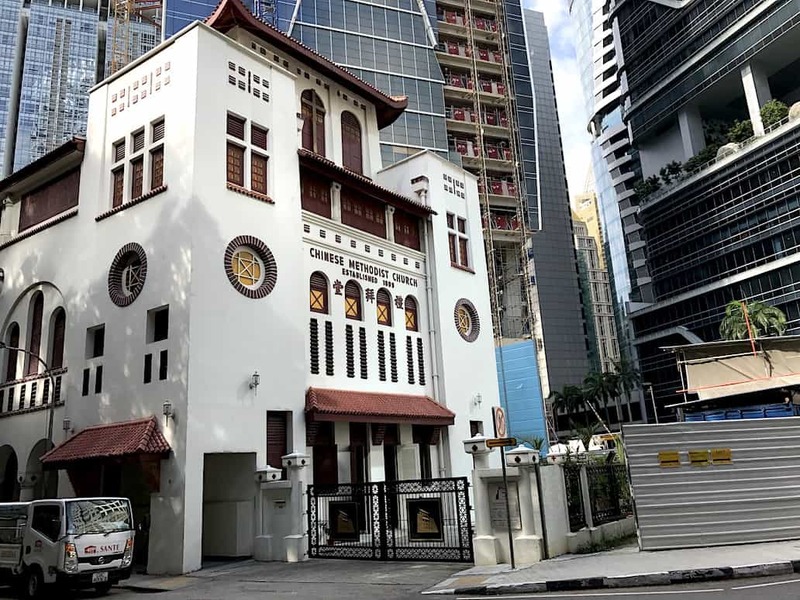 The church was designed by the Denis Santry of Swan & Maclaren, who was also the designers of the Sultan Mosque, Cenotaph, and Tanjong Pagar Railway Station. Amoy Street Food Centre is one of the best places in Chinatown to enjoy the tasty and affordable food. Here, you can find shops selling classic hawker dishes, a muffin shop, a salad shop, and a Ramen stall. However, it remains very crowded during the lunch time and it is best to avoid during that period. At Amoy Street Food Centre, you can choose from a great variety of local foods available there. 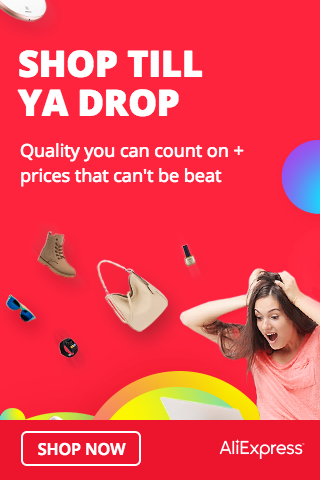 Moreover, it will not hit your pocket hard. So thats all folks. Hope you have fun touring this old street of Singapore.